It's Sam here, I disappeared almost as soon as I arrived a little while back. I had to complete my dissertation then I went on a trip to the USA which conveniently included Comic Con in San Diego (I see lots of reports on the LOTR forum - I was in the same place as some of you!). Anyway, I'll get to the point. I met Charles de Lauzirika (he's the guy who produced the amazing, amazing Alien Quadrilogy DVDs). So I told him there's no such word as Quadrilogy and he should have called it a Tetralogy and he laughed, but anyway the point is, he's currently working on the Kingdom of Heaven DVD. It's going to be packed chock-full of stuff (he wouldn't tell me what, the tease), but he said Ridley Scott reckons this is the best film he's ever done. There, I got to the point eventually. I don't know anything beyond what Charles said. Heck, I don't even know the plot, I didn't even think to ask But I do know what he told me about Ridley Scott. Now I've been worried about this movie, Orlando's got a lot riding on it, but now, May 2005 can't come quick enough. we need a smilie that is panting in anticipation, because that it what we are doing. It's going to be a long time until May. Thanks for that bit of information aliza! Wow, did he really say that? This man has made some incredible movies. Only 9 more months to go. That's not that long, is it? Well, I definitely hope it's that good. I guess we'll find out in May, if we can make it that long! Ridley Scott reckons this is the best film he's ever done. Wow, that's great! For the director of Gladiator to say that it must be fantastic. I can hardly wait to see it. Woohoo! That is definitely a good sign, especially since I loved Gladiator. I'm still going to be nervous for Orlando when it comes out though. I agree. I sometimes get nervous for him because of all the hype before a movie's release. I guess we'll all love it anyway. 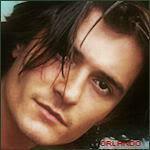 We appreciate Orlando's acting, even if others don't. I'm pretty excited for the movie, but I'm also nervous about it too, mainly because I was all geared up for Troy to be a great movie, and look how it turned out. But Ridley is a master, so hopefully it'll turn out great; I have a lot of faith in him. Ridley Scott reckons this is the best film he's ever done..
WOW! For Ridley to say that, KOH must be something else! Black Hawk Down and The Gladiator were both great movies, and if KOH is indeed even better than these. Oh, the anticipation! And I read that the release date for Mission Impossible 3 has been moved? Another good sign! Can't wait for May. Start the countdown! Nine months to go. Ridley Scott has quite the impressive resume. He directed "Alien," "Blade Runner," (and as already mentioned) "Gladiator," and "Black Hawk Down." And he thinks this is his best movie?! Way to pick your movies and parts, Orlando! This is great news, Aliza Love you for posting it. It's so long until May. Hopefully the web site will be up soon, and then we will have trailers, etc. I can't wait !!! Someone said the Orlando needed a Mad Max to take Mel's place. This is better than Mad Max, and Orlando already has his own place in Hollywood and in his fans' hearts. That's really great news and it sounds as though Orlando has given a wonderful performance to merit that kind of praise. From the director that gave us; Alien, Bladerunner, Thelma and Louise, Gladiator and Black Hawk Down, comes his best film ever.. Kingdom of Heaven.Woah! Orlando's role in Kingdom of Heaven is so central to the movie that if he did a poor job, the overall movie would have to be a disappointment to Ridley Scott. But it seems that this is not the case. Whether Kingdom of Heaven will turn out to be Ridley Scott's best movie remains to be seen. Certainly, Scott is hoping that it will be his best movie because he wants a shot at that directing Oscar that he somehow didn't get for Black Hawk Down. Well, I think it's safe to say this is good news! Actually, I do feel a bit nervous because of the fallout of Troy. But I'm much more comfortable with Ridley Scott as director than Wolfgang, whom I'd never heard of. BHD and Gladiator? Only two of my favorites. The wait is so hard. And won't it be brilliant when KOH is released and the critics won't be able to say anything negative? Or say anything at all if it's really that good. ... the Kingdom of Heaven DVD. It's going to be packed chock-full of stuff (he wouldn't tell me what, the tease), but he said Ridley Scott reckons this is the best film he's ever done. ::GASP! :: I literally caught my breath to read that. Ridley Scott thinks this one will be the best he's ever done. Wow. If he's even remotely right . and one would expect a director to say that about an upcoming film . but if he's even close. Boggles the mind, for he's done some truly fine films that are among my all-time favorites. Oh, Orlando! . it hasn't even begun to shine for you. Wahoo! Thanks Aliza for posting this. Ridley Scott seems like a smart guy, so I don't think he'd say something he didn't really mean. He did win a directing Oscar for Gladiator, so I doubt his motivation in saying this is to win another Oscar. I am so looking forward to seeing this movie. I honestly think this will help Orlando establish himself as a male lead and help him break away from any boyish reputation he might have. May can't come soon enough! Marilyn. I hate to correct you but. Ridley Scott has never won a best director Oscar, for which the Acadamy should hang its head in shame. Gladiator won Best Film, the director Oscar went to Stephen Soderburgh for Traffic, the year Gladiator won best Film so. Thanks, Sam. This was really interesting to read. And I thought my anticipation for Elizabethtown was off the charts. That and the fact that Ridley Scott is in his late sixties and might be contemplating retirement -- or at least a switch to smaller-scale movies made on nice air-conditioned sound stages in LA or London -- fairly soon. He may not have many more opportunities in his career to compete for that directing Oscar. In any event, I'm sure that Scott will be assembling this movie with the greatest of care, and that can't help but be good for Orlando. I figure that the worst that can happen is that Kingdom of Heaven will go the way of Troy and The Last Samurai -- meaning a lukewarm reception in North America but plenty of box office overseas (where historical epics are better appreciated). The best that can happen? Well, we'll have to see. I can't see KoH making a huge amount of money here in the U.S., but if it earns the critics' respect, maybe Ridley Scott could get that Oscar. And it certainly wouldn't hurt Orlando to be associated with that.